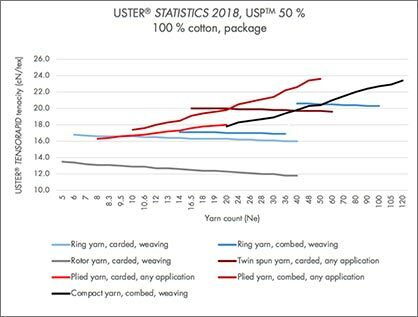 The inspiration for the first USTER® STATISTICS in the early 1950 was the wish by spinners to know about the quality of their own yarns and those of other spinners. 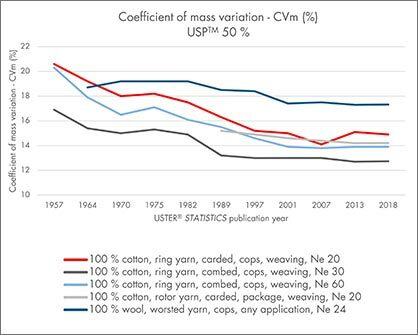 Started as a two-page list in 1957, it quickly developed into the unique global benchmarking tool which today is the basis for trading textile products at assured quality levels, across global markets. Any professional in the fiber, yarn and fabric business can benefit, since the benchmarks are excellent indicators of quality throughout the textile chain. The full range of quality levels is covered, as the USTER® STATISTICS Percentile (USP™) figures indicate parameters for the 5%, 25%, 50%, 75% and 95% level. Knowing the quality level of the yarn is essential for its production, further optimal use and finally its value.